Greenhouses help us create the ideal growing environment for fruits and vegetables. Unlike traditional growing methods, we are able to provide plants with the perfect temperature, sunlight and nutrients they require. Additionally, because less energy is spent on survival and fighting adverse environmental conditions, we can focus the majority of our efforts on making sure YOU get a high quality, flavourful product. Another method we use is supplemental lighting to simulate sunlight during the winter months, using a combination of LED and High-Pressure Sodium Lighting. While we do have computer controlled irrigation and temperature, Mother Nature is still active in our greenhouse ecosystem. 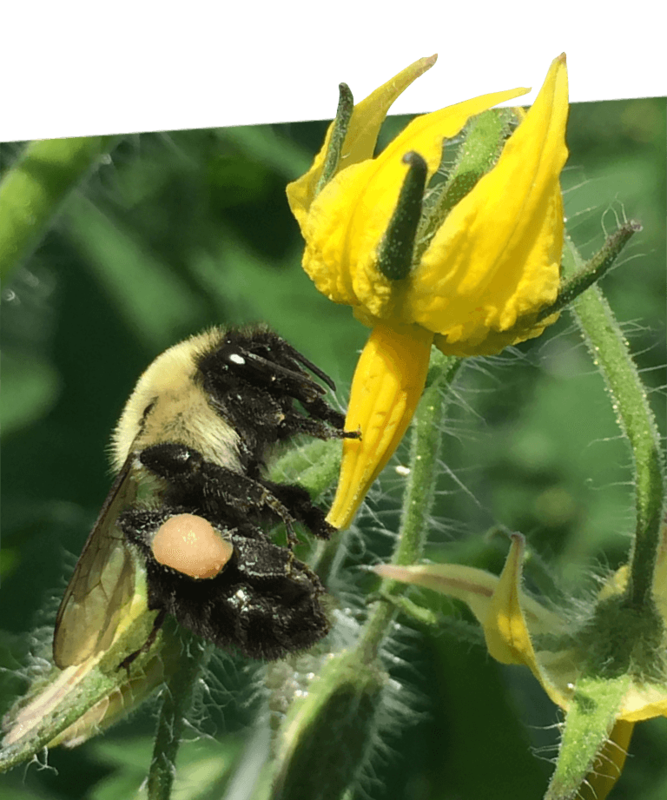 Bees fly around to pollinate the plants and rather than pesticides, we use a program called Integrated Pest Management where ‘good bugs’ (such as ladybugs) prey on ‘bad bugs.’ Using a fraction of the land and water that traditional farming requires, we also sterilize and re-circulate our run-off water. 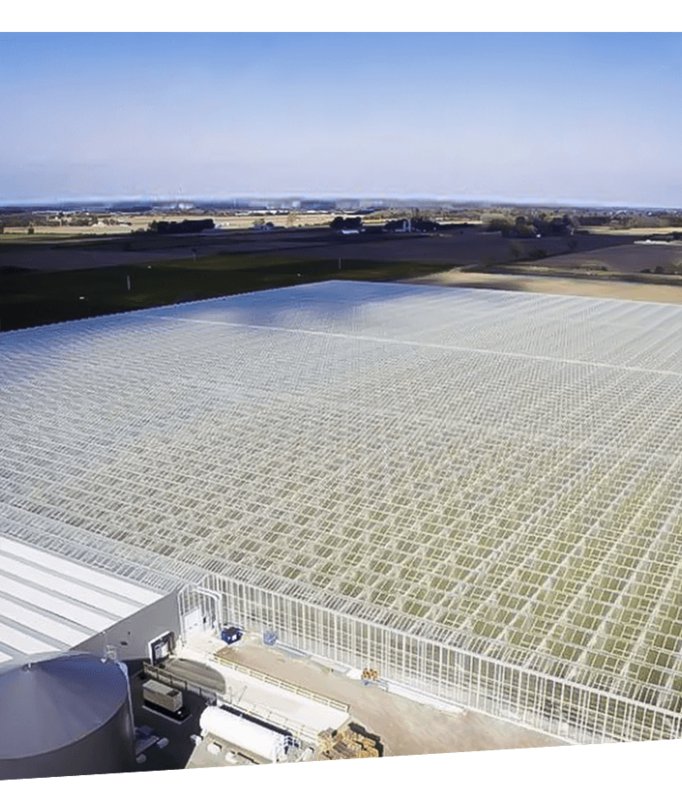 Located on the north shore of Lake Erie, the Leamington / Kingsville region is home to the largest concentration of greenhouses in North America. 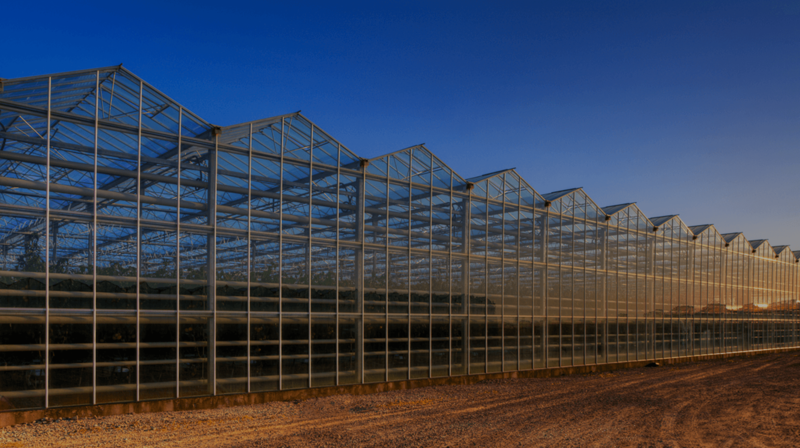 The region has been actively farmed since the early 1800s and this rich tradition has become the foundation for our expansive greenhouse industry today. Commonly known as the "Sun Parlour", the area boasts one of the warmest climates in Canada, second only to British Columbia’s lower mainland. On the opposite side of Lake Erie, Huron, Ohio is where we have a 60-Acre expansion to grow Tomatoes On-the-Vine. 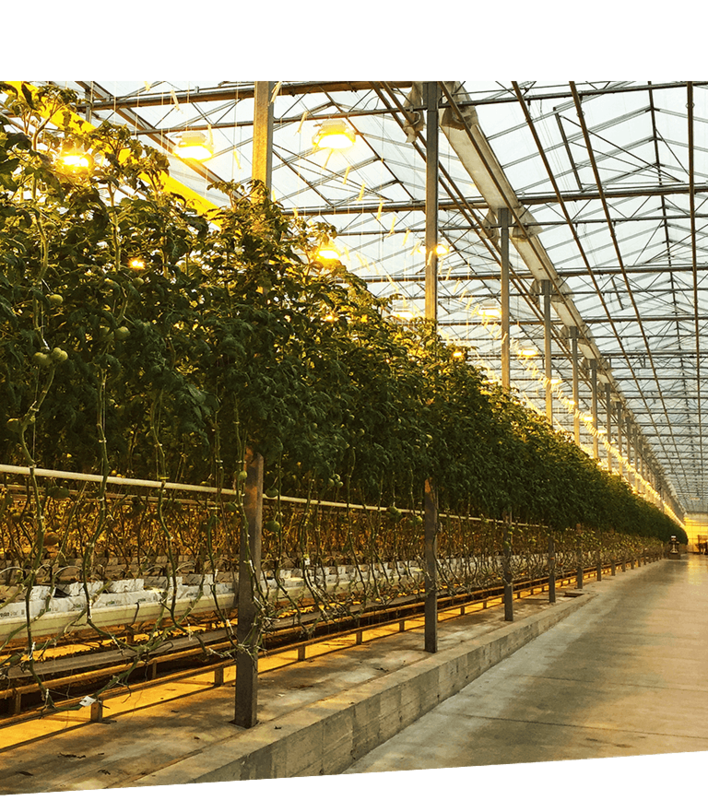 Ontario has nearly 3000 acres of greenhouses and the majority of them are located in the Leamington / Kingsville region, surrounded by supporting infrastructure that keeps us running smoothly and up-to-date with the latest technology and research. Our greenhouse farms grow fresh produce with significantly higher yields than traditional farming practices, and together with our carefully selected international growing partners, we are able to provide premium produce year ‘round.